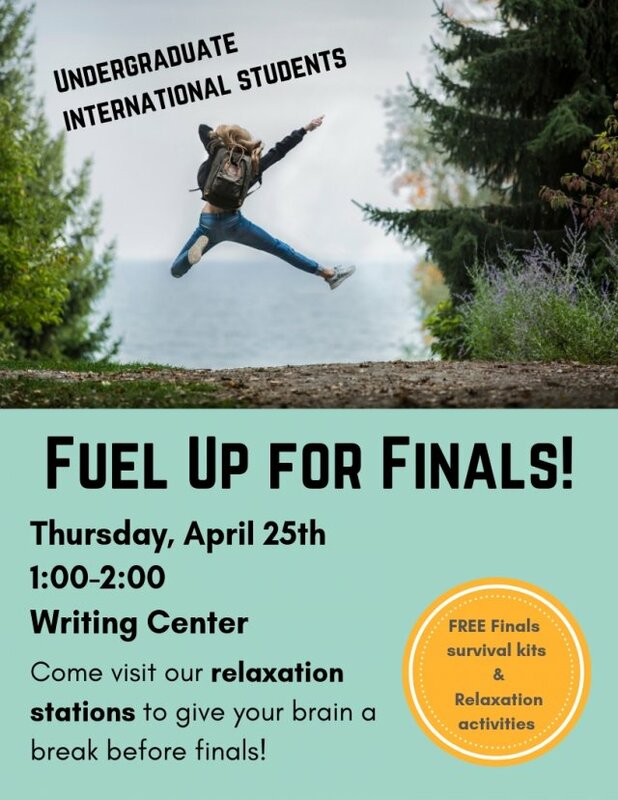 Come to the Writing Center to learn ways to relax during finals! Learn about the benefits of a plants for the health of you and the planet! 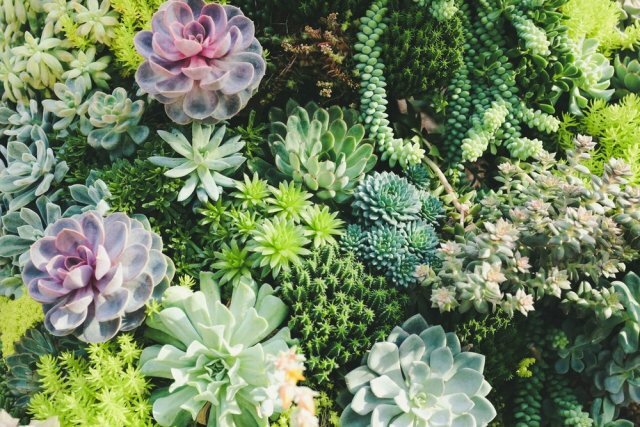 Eat some plant snacks & get your own plant (succulent)! 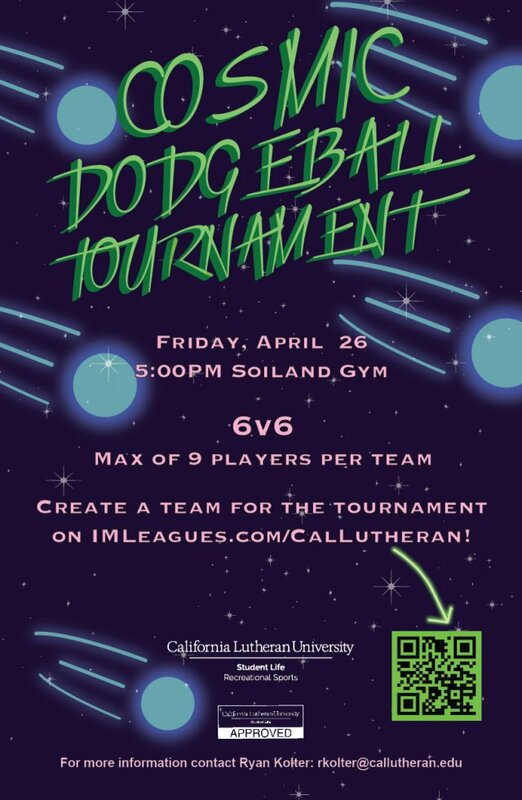 6v6 Glow in the Dark Dodgeball Tournament in Soiland Gym on Friday, April 26th! Come out to Grace Pool for BBQ, games, music, and a good time with the MogOW staff. 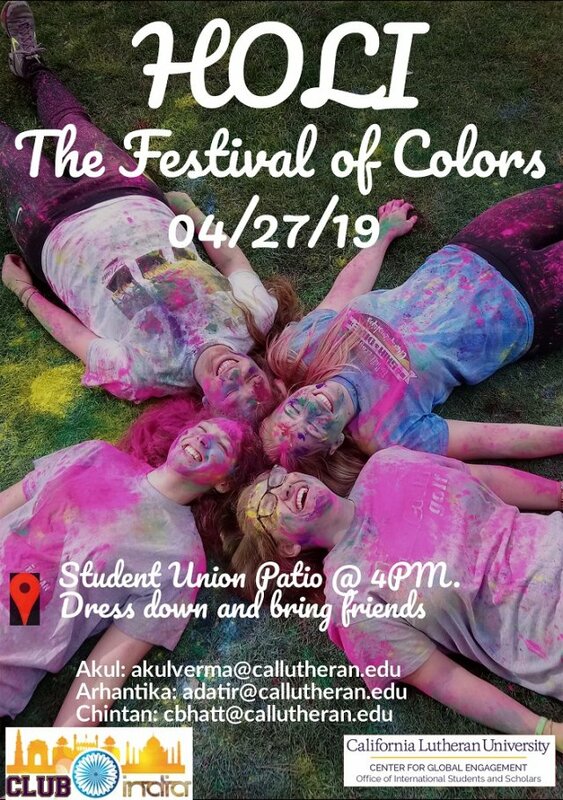 The Indian festival of Colors is here! Come and join us for a great fun filled evening with lots of food, lots of fun, and lots of friends! 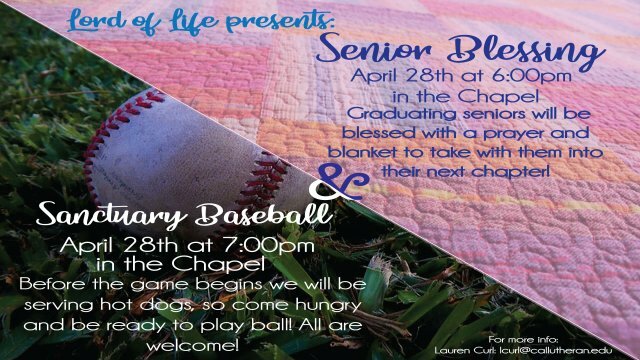 Join Lord of Life at 6pm on April 28th to honor graduating seniors and stay around after the blessing for hot dogs and Sanctuary baseball, all are welcome! 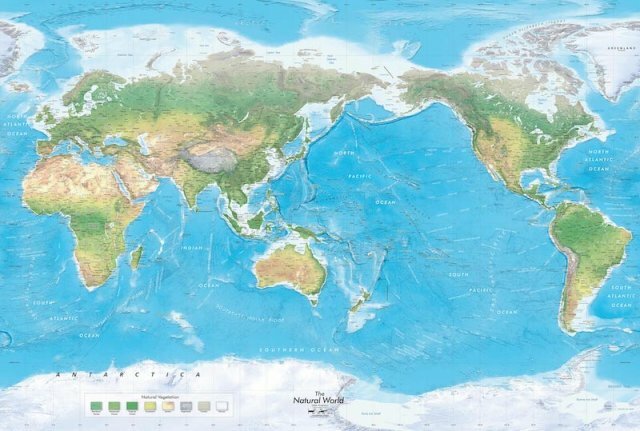 Come hear from a panel of study abroad alumni! Free Boba, Poke Bowls, and Teriyaki Bowls! 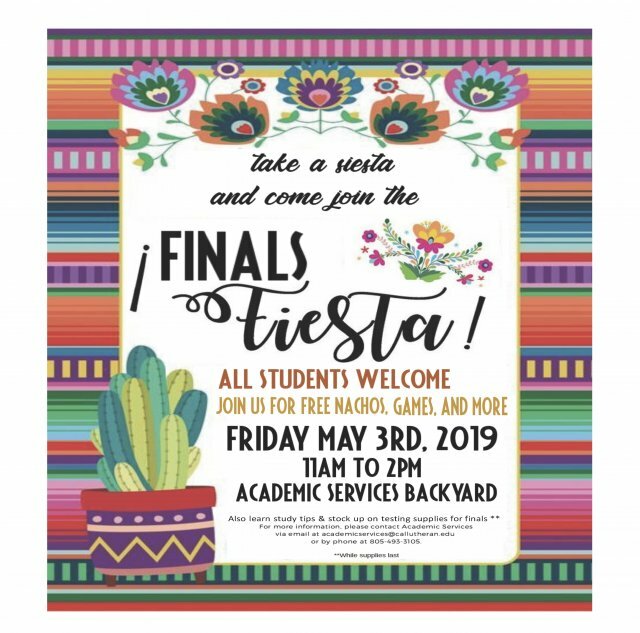 Join us in the Academic Services backyard to fuel up for finals! 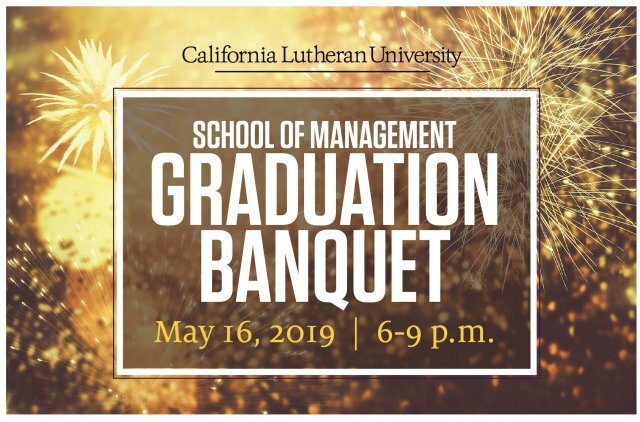 Registration is open for our 4th annual party for the School of Management graduating classes of 2019!